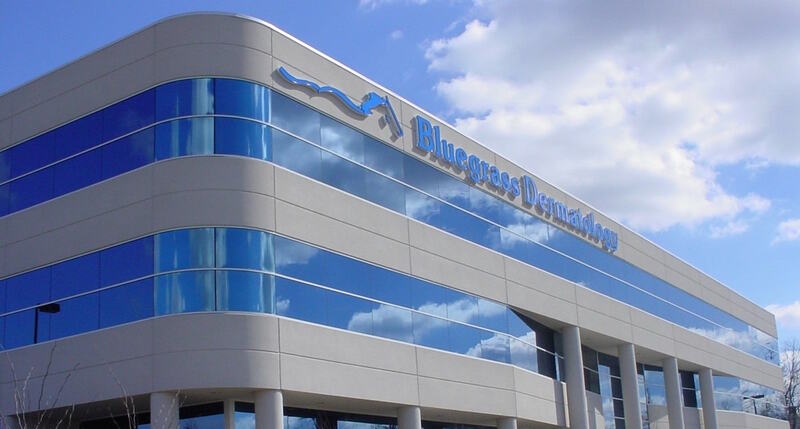 The physicians and staff of Bluegrass Dermatology are committed to providing compassionate, high-quality care in a friendly, relaxed setting. Our highly skilled dermatologists have expertise in all aspects of cosmetic, surgical and medical dermatology including acne, eczema, psoriasis, cysts, rashes, hair loss and rosacea. We offer advanced mole checks and skin cancer screenings. 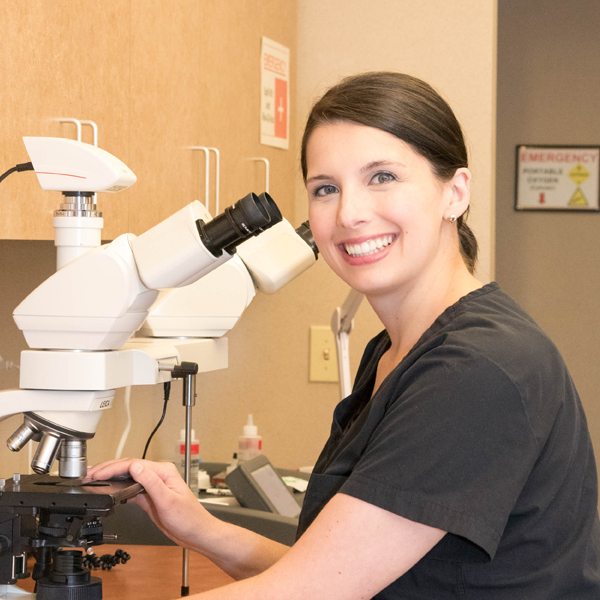 For patients with skin cancers, we offer Mohs surgery as a treatment option and are the only dermatology practice in Central Kentucky with TWO Mohs surgeons on staff for your convenience. We evaluate and treat common dermatologic conditions including acne, eczema and skin cancer. Surgical treatment is available for a variety of skin conditions, including removal of skin cancers, cysts, and moles. Our physicians offer a number of cosmetic treatments that can help you look and feel your best. We offer a broad range of non-surgical cosmetic dermatology services to enhance your appearance. 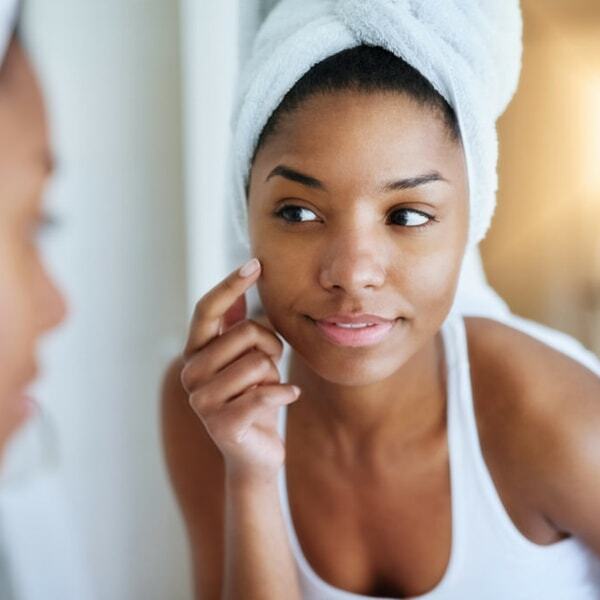 Whether you’re interested in improving the texture of your skin, removing unwanted hair and spider veins, smoothing facial lines and wrinkles, or restoring volume to your face, our physicians can help you look your very best. Usually people who come in for a cosmetic procedure want to eliminate fine lines, wrinkles and restore lost volume in the cheek and lip area. The recovery time for cosmetic surgery varies with each procedure, but overall does not require significant downtime. We’ll work with you to understand your desired results, your budget and time constraints and find the right treatment option. At Bluegrass Dermatology we are committed to providing our patients with quality care delivered in the most pleasant way possible. Our team of physicians and staff truly enjoy working here and having the privilege of providing excellent care in a welcoming and friendly atmosphere. We are a full service dermatology office and are prepared to address all of your skin care needs. If you can see that you have a skin problem you are invited to call our office directly for an appointment. Great experience with Bluegrass Dermatology as always. Dr. Pat and Twyla are awesome!! Friendly receptionist, very kind and professional staff and Dr. Pat Buker is so great at providing suggestions, when asked. 1st time appointment was handled in a timely manner. Dr. Thompson was excellent and very thorough in my exam. My questions were answered very professionally. Was very impressed. I have 3 young children & have therefore been to many doctor's offices. I have never experienced such thorough yet speedy & friendly care. Our doctor/PA took time to answer questions, make my child who is quite shy feel at ease and answer questions, and even explained things to us. All of this while we didn't have to wait long in the waiting room (less than 5 minutes) or in the patient room (again, less than 5 minutes). The nurse took time to make my child feel at ease with treatments he'll need and even gave him the samples in his own bag rather than just talking to me. This goes a long way in making sure my child won't be afraid of treatment or the doctors. The checkout clerks were equally friendly and thorough. Staff was wonderful - love this place! If you are looking for dermatology care look no further! I've been a patient with Dr. John Buker and his staff at Bluegrass Dermatology for 9 years and have had the best of care. By the way, I travel over 2 hours one way for his services. Enough said!!! My experience here has been wonderful. Everyone here was so sweet and kind. Although, they are very professional they were still so kind hearted. I brought my son here first, and when I seen how they treated him, I came. I traveled 186 miles one way, and I would do it all over again. My family and I will continue to come here. They were PHENOMENAL!!!! The entire time from checking in to checking out was a positive experience. I was treated with respect and consideration. My healthcare provider is great! She is thorough and has a friendly personality that made me feel comfortable. Everyone offered an excellent example of customer/patient service. The staff is very professional as well as friendly and personable. Additionally, the facility is clean and nicely decorated. This may very well be the most efficiently run clinic I’ve ever visited. I just had my 3rd visit there and it was another perfect experience. I’ll continue to recommend Bluegrass Dermatology to my family and friends. Great care by both the clinical assistant and the nurse practitioner. This is an excellently managed practice. They take the time to listen and respond to all my questions and concerns, and give answers, explanations, and instructions that are easy to understand. They are friendly, compassionate, and extremely knowledgeable. I would, and have for years recommended Bluegrass Dermatology to family and friends; they provide the highest quality of care, with excellent providers, in a classy, relaxing setting. From check-in to check-out, Bluegrass Dermatology is the best in Central Kentucky. What a wonderful experience! I was nervous about having spots checked out, and knowing they'd have to be removed. Everyone, from the moment I walked in, made me feel at easy. When Sheri was working on me, she kept me distracted and talking and it was over before I knew it. I am always glad to see Krista she is the kindest person. 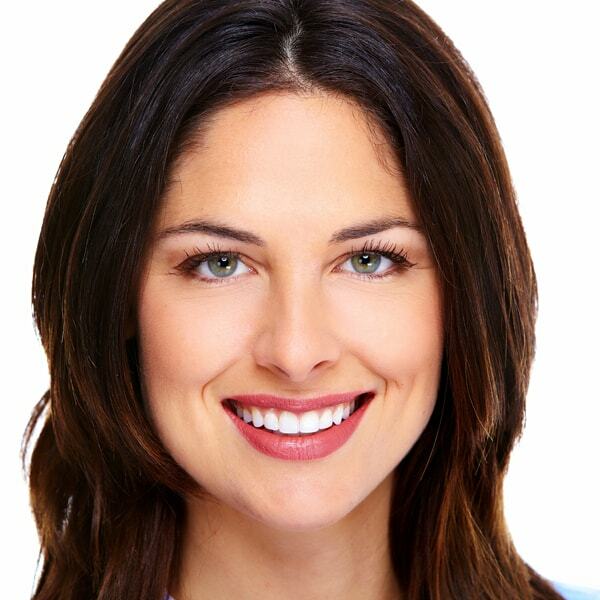 She is always interested in your health and devoted to giving you the best care possible. Krista and her nurse that help her with me yesterday are great, and I will refer them to anyone. Everyone there is great, and smiling, friendly, and nicely dressed. The new receptionist that checked me in yesterday, did a good job,and knew what she was doing. I'm glad I chose you all to help me. Dr Black is a superior Dermatologist! This was my first visit to Dr. Roth at Bluegrass Dermatology and I loved it there. She was very thorough and asked questions about my years of taking care of my skin. Her assistant was great! Very friendly and comforting! I have been seeing Dr. Black for years now. She has also cared for my elderly father and young son when both were dealing with skin cancer or potential skin cancer. Her true concern for each patient, comforting words and attention to detail and care will continue to bring our family back. Whether dealing with very serious health concerns or concerns that might be considered vanity, we have been well satisfied with our care! I have and will continue to recommended Bluegrass Dermatology to friends and family. My experiences with Bluegrass Dermatology have been positive and I would rate them a five out of five. More specifically Dr. Buker has been pleasant, and helpful. The staff has been pleasant and helpful and the office has been clean and bright. The care has been timely and appropriate. Bluegrass Dermatology is the absolute best! I got called in right on time and the doctor came to see me right away. I'm used to waiting forever and sitting in the exam room forever, but they were so fast! And Chelsea and Dr. Black were the absolute best! They were so sweet and they took my concerns seriously. Everyone at Bluegrass Dermatology is always so helpful and pleasant. Usually, there is very little wait time, even if you are in for a procedure. I would highly recommend this office to anyone needing dermatology and related services. Over all very good experience! Very informative doctor and super nice staff! They were very accommodating to my four month old. (He was the patient). Wait time was minimal. Staff was knowledgeable and friendly. Definitely recommend! Dr. John Buker and staff are awesome. Kind friendly and so interested in the patients well being, I recommend them highly. Nothing but good to say about this place. Thank you for your service, your patience, your attitude, just overall pleasant experience. Wasn't planning on getting a new nose, but Sun cancer happens. So glad to be referred to Bluegrass Dermatology, would recommend this place highly. I was beyond impressed with Dr. Black’s knowledge and passion for acne treatment. She made sure to take time to explain her treatment plan in detail and didn’t rush through the appointment. I’ve seen several dermatologist in 2 states and she is by far the best I’ve encountered. I’m finally optimistic about my skin turning around! What can I say… I love this office and staff! I wish I could see them for all my health care needs. Dr. Black is very kind, companionate, listens to patient concerns, and very thorough. Dr. J. Buker performed my Mohs surgery several years ago, and the results cosmetically were/are amazing! I’ve never left this office feeling anxious or upset from the unknown, or unnecessary comments made to an already nervous patient, as I have other medical offices in Lexington. Very compassionate & professional. I have been a patient of Dr. Roth's for years and Bluegrass Dermatology physicians and staff have consistently been so helpful and awesome! Staff were helpful and courteous. My physician (Roth) was thorough and provided clear guidance on my treatment options. She was warm, personable, and sensitive. The wait time was very minimal and the staff were extremely friendly and easy to work with. I felt the physician was very nice and extremely thorough. Call us or submit the form below for an appointment request. *Please do NOT use this form to submit personal medical information. General information only. Not used for medical evaluation or consultation.